Is there any discount or free trial for the Business Model Toolbox iPad App? – Have a question? Find the answer here. Is there any discount or free trial for the Business Model Toolbox iPad App? The Business Model Toolbox app for iPad has been decommissioned. We have decided to focus our efforts on developing our more robust version of the app as a web-based platform. Since the Business Model Toolbox iPad App is downloaded through the iTunes store, Apple tightly manages all commercial actions, including discounts and free trials. We do have control of the development of our similar Strategyzer App. 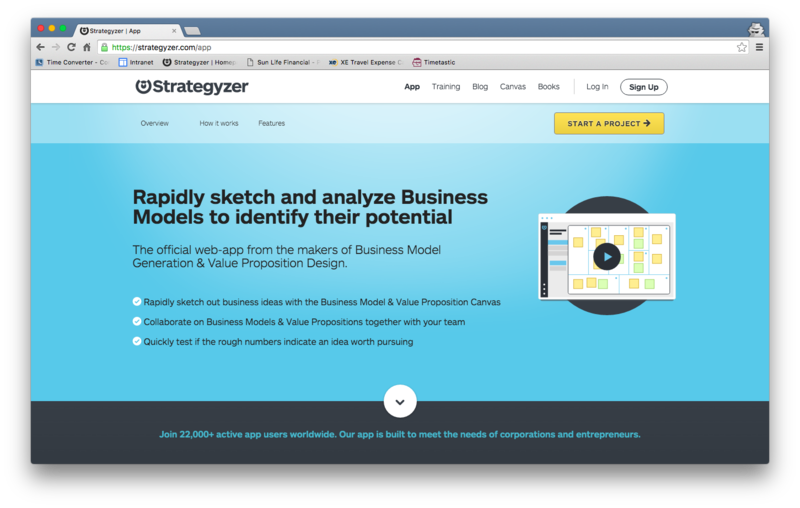 Please visit strategyzer.com/app to learn more about all the features available within the web-based App. How can I solve problems related to my iPad/iTunes account? Are you developing the Business Model Toolbox iPad App any further? Is there a Mac, PC or Android version of the Business Model Toolbox iPad App? How can I collaborate with others on the iPad? Can I synchronize the Canvases created on the Business Model Toolbox App for the iPad with Strategyzer? After re-installing my iPad, I can’t reload the Business Model Toolbox App. Why?